The 28 member states of the European Union have agreed on the text of the declaration to be adopted at the May 17 2018 EU-Western Balkans summit in Sofia, Bulgaria’s Minister for the EU Presidency, Lilyana Pavlova, said in Brussels. Pavlova was speaking after attending the Enlargement Day conference organised by the European Committee of the Regions. The Western Balkans summit in May has been a pet project for Bulgarian Prime Minister Boiko Borissov, whose country holds the rotating Presidency of the Council of the EU in the first half of 2018, but the run-up has been fraught with controversy. Weeks ago, there was a reported threat of a boycott by five countries who oppose the treatment of Kosovo as an independent state. Mariano Rajoy, Prime Minister of Spain, one of the countries that does not recognise Kosovo, will attend an EU leaders’ dinner in Sofia on the evening of May 16, but it is not yet clear whether he will attend the summit the following day, according to a report from Brussels by Bulgarian National Television. “The unity of the 28 is very important in this process,” Pavlova said. “I believe that in the end unity will prevail, in the name of unity, in spite of the differences that we have, for example the recognition of Kosovo. We have more general goals that we have to achieve, so I strongly hope that we will find a compromise option, so that everyone can participate, each in his own format, of course,” she said. She said that the purpose of the meeting was to confirm the political will for the irreversibility of the enlargement process. The declaration is expected to affirm the European prospects of the countries of the Western Balkans. Participants are expected to adopt statements related to connectivity, security and the fight against organised crime, and in favour of the rule of law. Bulgaria hopes to have specific memoranda on some of these topics. Speakers at the May 4 conference said that the possibility that Serbia and Montenegro could join the European Union in 2025, a conditional target date proposed by the European Commission, should encourage municipal and regional reform across the Western Balkans. The European Commission and the Presidency of the Council of the EU were among those who, during the Enlargement Day conference organized by the European Committee of the Regions (CoR), emphasised that the success of EU’s next enlargement will depend heavily on cities and regions . Karl-Heinz Lambertz, the CoR’s President, said: “Future EU membership is a tangible reality for the Western Balkans, but it needs political commitment from every level of government. Pavlova presented the progress on the EU’s priorities for the Western Balkans and said: “The enlargement process represents a strategic investment in the peace, democracy, prosperity, security and stability in Europe. 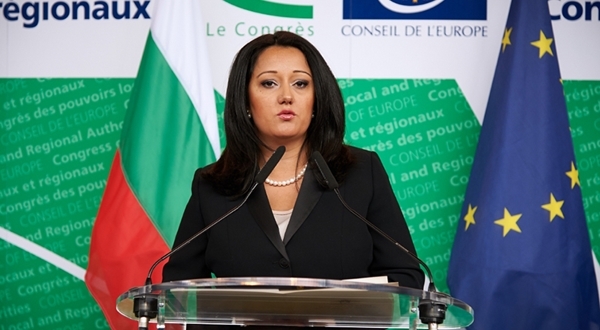 “Bulgaria recognises the high added value of being part of the EU, which has significantly contributed to the development and economic growth of the country, respectively the well-being of our citizens,” she said. “I am glad that the Bulgarian Presidency has achieved one of our primary aims and that the European perspective for the Western Balkans is now high in the EU agenda, because the Western Balkans is a region with high potential, economies in the region are growing fast, and deepening relations between the EU and the countries in the region is of mutual interest,” Pavlova said.